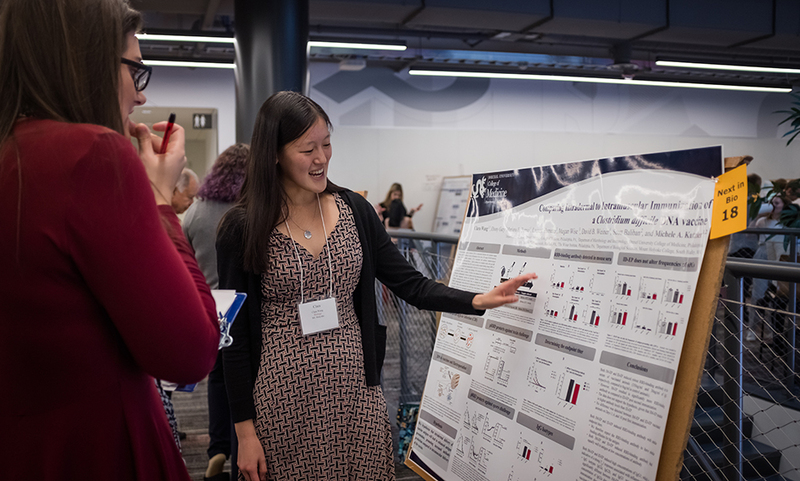 Join us to explore life sciences career paths, discover graduate school options, grow your professional network, and compete for research poster prizes. WPI, a global leader in project-based learning, is a distinctive, top-tier technological university founded in 1865 on the principle that students learn most effectively by applying the theory learned in the classroom to the practice of solving real-world problems. Interdisciplinary collaboration is the organizing principle at play for life sciences research, education, and technology development. Research teams go beyond traditional academic department boundaries and coalesce around ideas, approaching complex problems from multiple perspectives to speed the pace of discovery. Life science research groups engage in teams around a common goal: advancing science and engineering new therapies, devices, and technologies that improve human health and benefit us all. This includes the departments of chemistry and biochemistry, biology and biotechnology, biomedical engineering, chemical engineering, and physics. 11,976 new jobs are forecast to be created within the next five years in the life sciences sector in Massachusetts. It's an exciting time for industry and the talented, highly sought-after graduates in these fields. 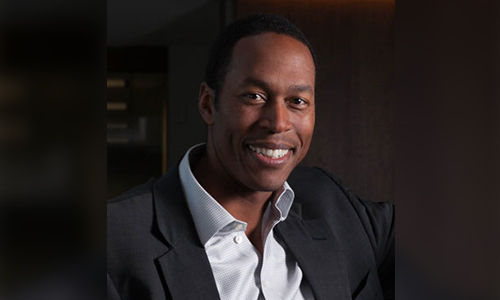 Travis McCready is the President and CEO of the Massachusetts Life Sciences Center, a $1 billion public–private partnership with the mission of advancing the life sciences ecosystem in Massachusetts. In 2018, he delivered the keynote address: Click Here to Download Your Therapy: How Digital Health Is Changing Life Sciences Career Prospects. Undergraduates from nine colleges and universities got to hear advice fromMLSC president Travis McCready and a panel of innovators and entrepreneurs on how to prepare for careers in academia and industry. The event was designed to help undergraduates identify career paths and obtain critical skills, knowledge, and resources they will need. Students showcased their research projects and met with WPI's partners in the biotech industry across the state. WPI has a great potential work force, a great teaching approach that includes theory and practice, and is located in Massachusetts, a state that invests in and supports the future of life sciences. Network, make connection, present your research. Submit your abstract on a topic related to biology, bioinformatics, computational biology, biotechnology, biomedical engineering, biochemistry, or other biomedical sciences. Please note that you do NOT have to present your research to attend the event. In addition, there are travel awards available for those who qualify. 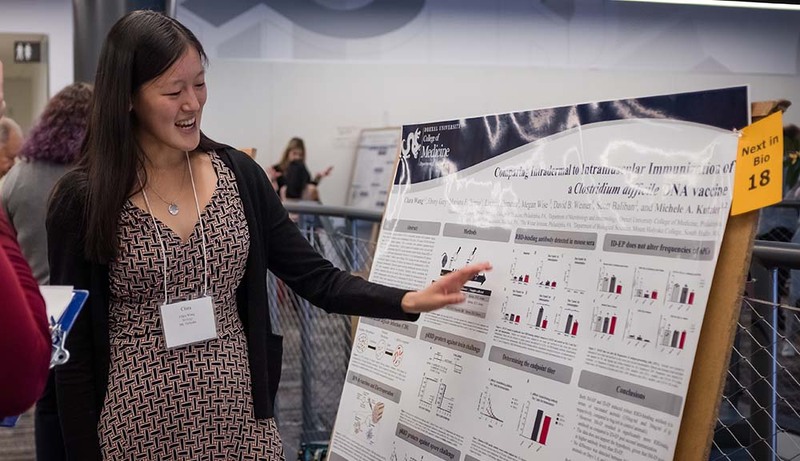 WPI graduate students can pursue research excellence in areas that cross several disciplines. Researchers here are leading discovery and innovation in many areas, particularly in the life sciences, supported by awards from the NIH and NSF. Our graduate students regularly present their research at national and international conferences. They are also supported by an office of professional development, which coordinates a plethora of workshops throughout the year that are aimed at improving skills inside and outside the classroom -- all to ensure the success of our graduates upon graduation. There is a new joint degree doctoral program with UMass Medical School, and plenty of other opportunities to leverage state of the art facilities like those in the forthcoming PracticePoint or the Biomanufacturing Education and Training Center. Learn more about what is required for graduate programs. Spend your summer with a research team working to solve some of the most urgent problems facing our society. An Undergraduate Research Experience (REU) at WPI lets you spend 10 weeks at a premier technological university in the heart of New England contributing to cutting-edge science and engineering research projects. WPI’s 95-acre campus sits high on a hill in historic Worcester, Massachusetts. Access to the Park Ave. Garage is from Salisbury Street, with secondary access available from the northbound lane of Park Ave. Easiest way to find it is via this GPS Address: 151 Salisbury Street, Worcester MA. Get more directions and parking info.